What Is The M.V.P. Hitting System? 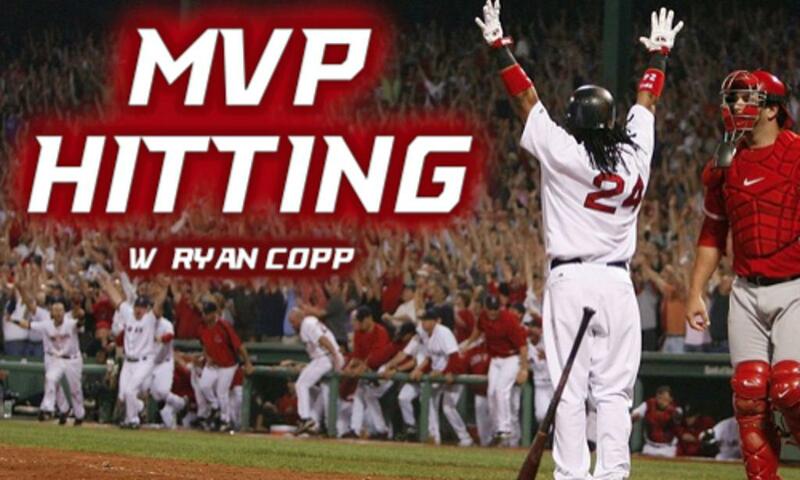 Welcome to the MVP Hitting; The Most Complete System for Developing Elite Hitters! Over the past 10 years, My hitting program has been developed, dissected, evolved and rebuilt to give you the most current, comprehensive and proven system available. This program is 10 weeks long, and I require hitters to train with me for two, one hour sessions per week (20 total hours of training!). These training sessions can be one-on-one or two-on-one. Training blocks are set up just like regular lessons. M.V.P. Hitting now includes the analytics provided through HitTrax! My 10 Week hitting program first starts by molding your mechanics of your swing to allow for the most pure and compact swing you can produce. We will use high definition cameras and 3D imaging to analyze and enhance every aspect of the swing. This will be done through the HitTrax system. As we continue to build on the fundamentals of your mechanics, we will introduce the Core Velocity Training belt. This belt is designed specifically to strengthen the core and aid hitters to FEEL the correct firing sequence of a swing. Helping us create that “effortless”, but violent swing. While the Core Velocity Belt helps develop our core rotational strength, we will also be adding in the overloaded, underloaded, and hand loaded weighted bat training system. These bats are specifically designed to not only strengthen your swing, but quicken it as well. Building the bigger strength muscles and fine tuning your fast twitch muscle. The final step in the MVP Hitting system, and probably the most difficult, is improving your vision and reactions. Through the use of Strobe Goggles, we will train your eyes, brain, and muscles to work together more efficient to produce a quicker “swing trigger” from the first sight of the ball to contact. Essentially being able to read and react to pitches much faster. This is a detail filled, intense program. For you to commit to the MVP Hitting already shows that you are serious about your swing, and serious about taking it to the next level! You will be required to fill out a Hitters Log during each session for the entire 10 weeks. This is not only to track and show your improvement, but serve as a blueprint to your swing! A one of a kind for training tool for every time you hit! "What you will find is that, what is touted, is not only bat speed but claims to make you into a "better hitter". Let's be very clear. The ONLY benefit of improved bat speed is simply a faster swing. What is the benefit of having the fastest car in town if you don't know how to drive? Therefore a player with a bat speed of 75 will max out with an exit speed somewhere between 82 and 87 MPH. If the same player can get that bat speed up to 90 (with an efficient swing) the exit speeds would be between 99 and 104MPH!" 2018 MVP Hitting data coming soon!